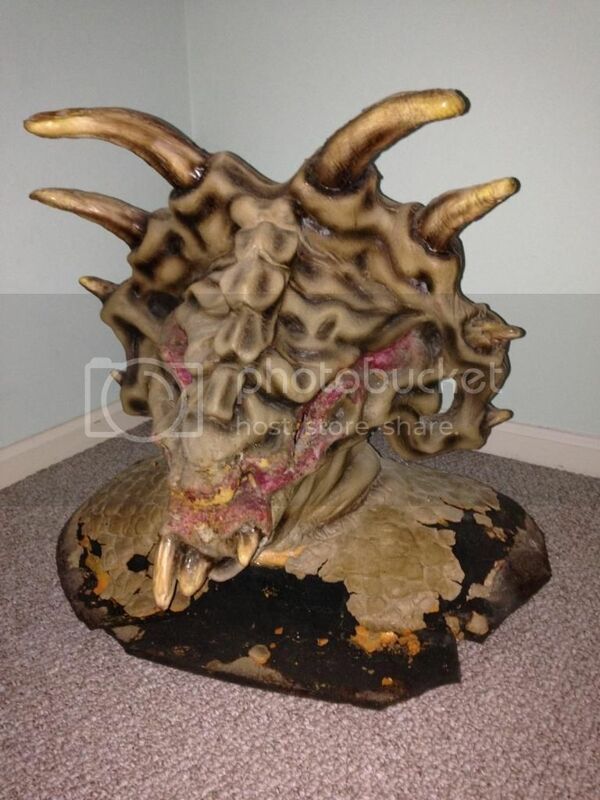 Screen Used Alien Head Prop from TNG's "Darmok"
A great piece of Star Trek history is on eBay now, although a bit expensive. 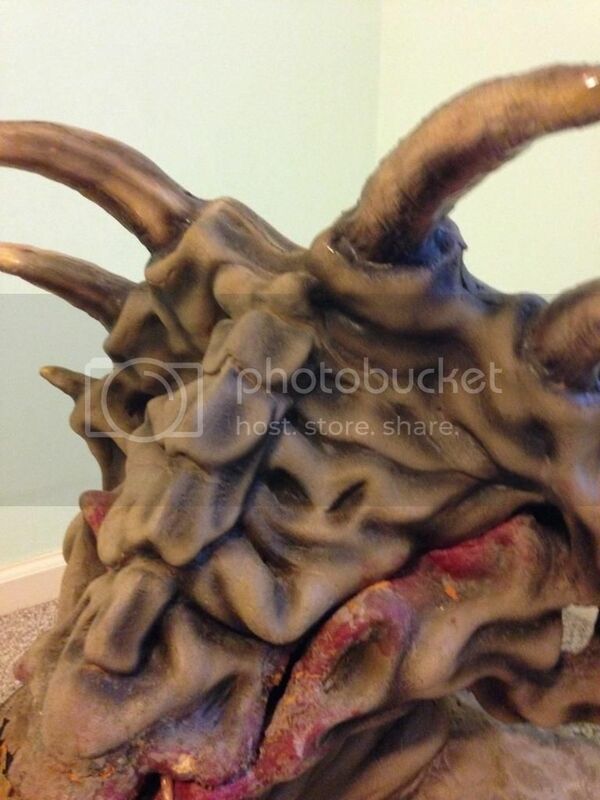 It is the alien mask from "Darmok". 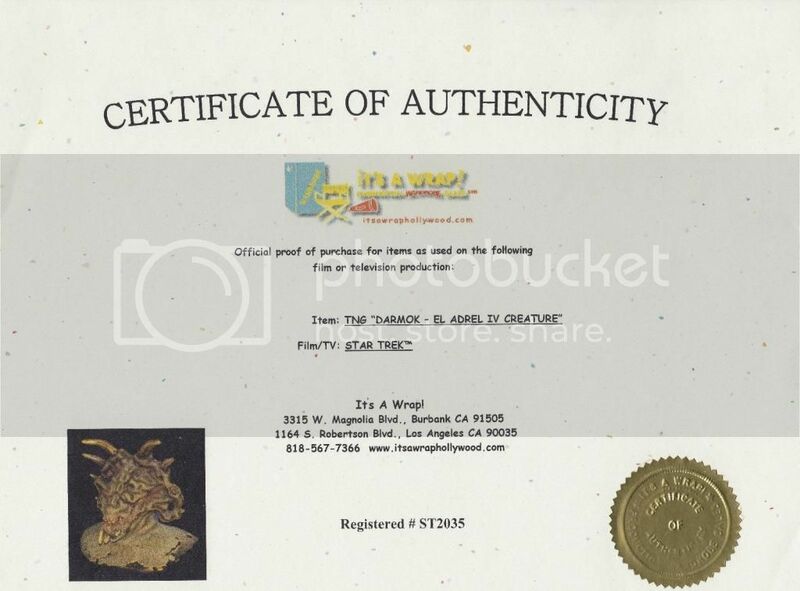 You are bidding on a screen used Alien head known as the E-Adrel creature that I purchased from It's a Wrap Hollywood when they were the auction company of choice for the Paramount sale of their Star Trek TV and movie props. 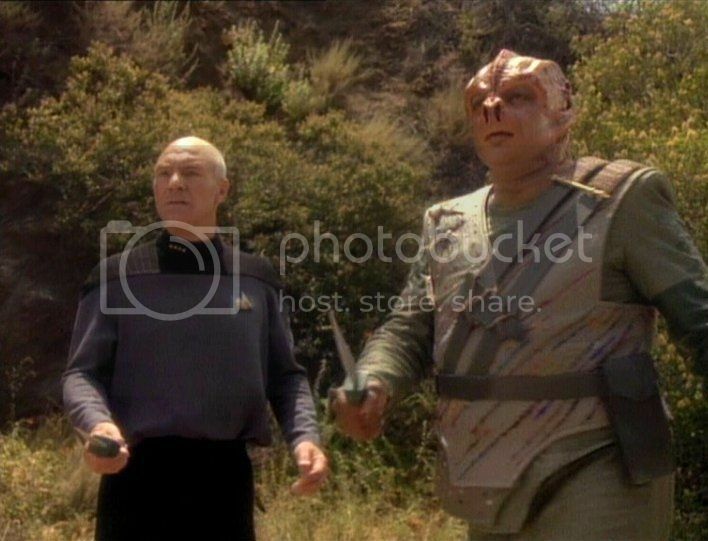 Its a one of a kind piece, not a recreation and was actually used in one of the more memorable episodes of TNG (Episode "Darmok" Season 5 Episode 2). Purchasing a resin phaser or Tricorder for your collection is neat but they aren't one of a kind and have the same story as this screen used prop. It comes with the COA from Its a wrap hollywood. 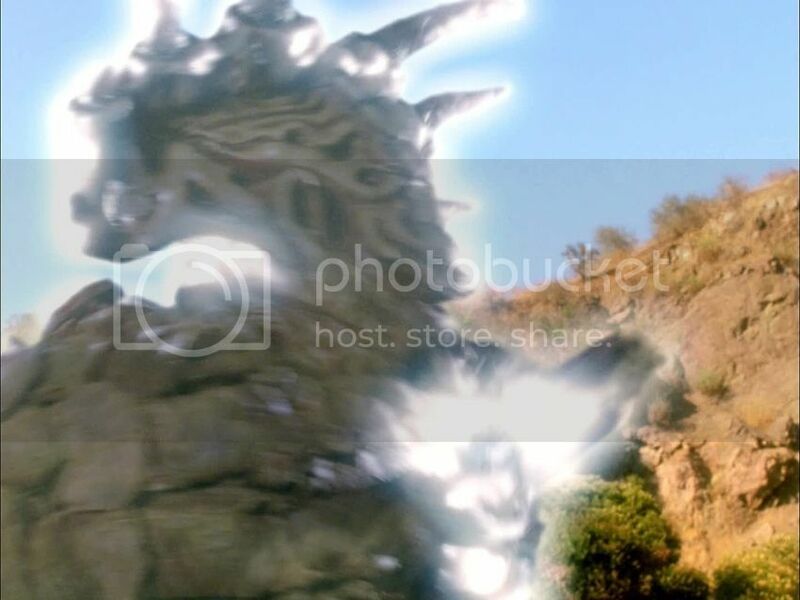 In the episode, they applied post editing special effects to it as you can see in one of the pictures. 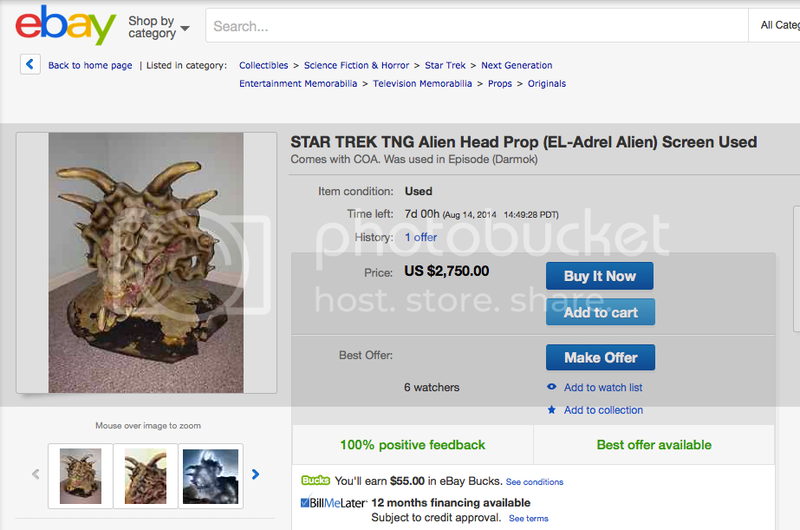 It's a Wrap and Christies were the two main auction houses that the Star Trek Prop and Set lots were sold to. I am selling it because I just moved to a new house and their really isn't room for me to properly display it (admit tingly my wife is making me do it). It is a one of a kind piece and there really isn't any other legitimate memorabilia from TNG that is on eBay that is as unique and recognizable and this piece. Because of the age of the piece, it does show cracking and missing pieces of Latex around the base. This is normal wear associated with a television prop from almost 20 years ago. There are some pieces of the latex missing from the bottom. It was that way when it was shipped to me. The head is fixed to a wooden base for storage in the paramount backlot facility. 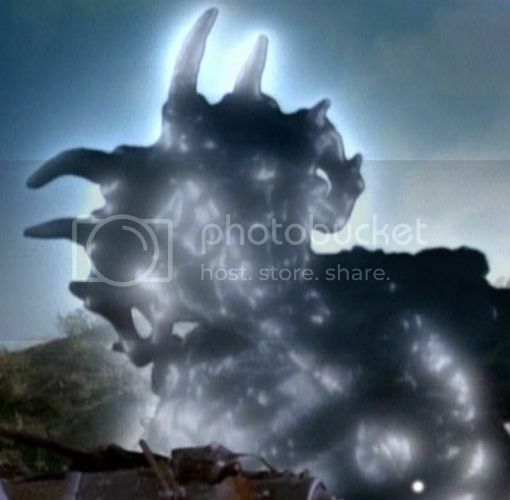 Shipping will be expensive due to the size and the complexity of making sure the prop doesn't get damaged. Check my long history and feedback on eBay and purchase with confidence.